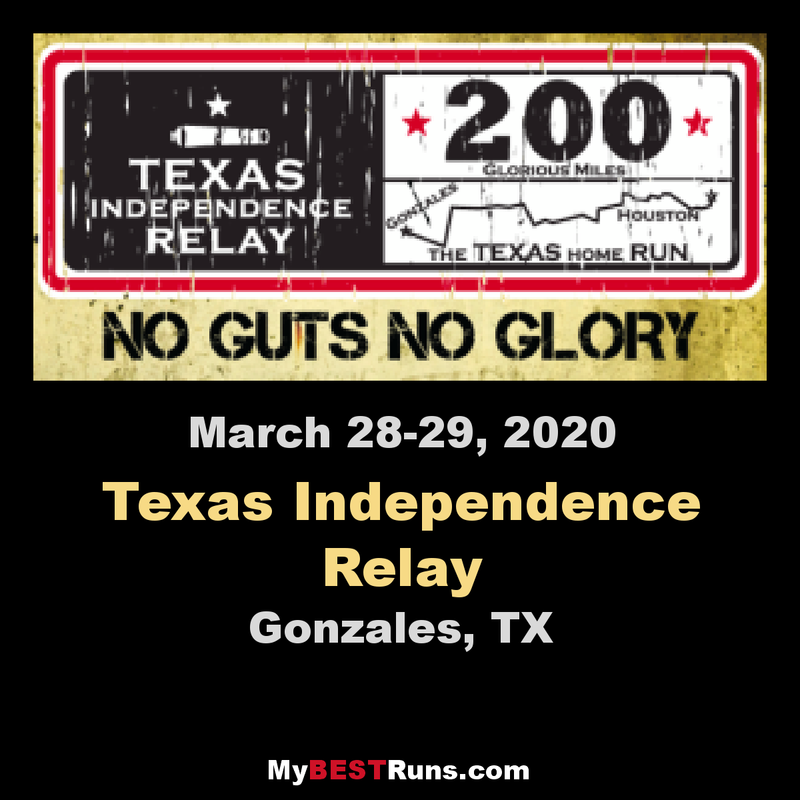 The Texas Independence Relay is composed of 36 relay legs of various lengths, totaling close to 200 miles. The course starts in Gonzales, where the spark of the Texas Revolution took place, and it finishes in the preimenent city of Houston, where Texas Independence was won! To tackle this formidable task, your team will have of up to 12 members (your choice! ), and you will have an exceptional time furthering good friendships and making new ones! You’ll encourage each other along the way while you visit the small cities of Gonzales, Shiner, Moulton, Flatonia, Schulenburg, Weimar, Borden, Columbus, Altair, Eagle Lake, Wallis, Orchard, Simonton, and Fulshear. Then, you’ll make your way through the incomparable city of Houston, experiencing it in a way you never have before! Racing on a team with your friends in this unique format over an incomparable span of Texas steeped with momentous history all amounts to a GREAT time that you’ll fondly remember for... well.. the rest of your life! This all takes place over Saturday and Sunday, March 30-31, and don’t forget the Texas Independence Party (the TIP!) on Friday, March 29! Come and take it… if you have what it takes!